There is still time to grab some of the fantastic bargains currently featuring in the dedicated 'Special Offers' section of our website. Changing monthly, the current selection features items with discounts in price of up to 20% until 31st August 2013, enhancing the cost-effec­tiveness of our already-competitive prices. Contractors who are regularly employed to complete damp proofing work require products in large quantities to ensure overheads are kept low. Currently available with a 15% price reduction, our Rising Damp Injection Cream in a big-value 8-litre builder's refill pack is a damp course cream package designed to minimise waste. The cream is introduced into 12mm holes which have been pre-drilled at regular intervals into a mortar bed, quickly creating an effective and durable damp proof course. As the cream has been formulated utilising an emulsi­fica­tion process, thickening agents are not required to produce this silane treatment which is 100% active. 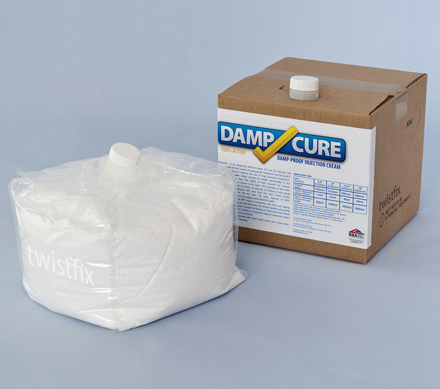 Migrating quickly and deeply into damp walls, the cream forms a chemical damp proof course that effectively halts rising damp. 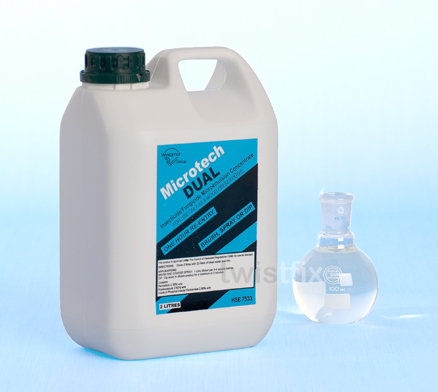 With a fantastic 20% discount in price, our Wood Preservative Dual is a professional solution to the problems caused by woodworm and other wood-boring insects. Displaying both fungicidal and insecticidal properties, the formula also protects against wet and dry rot during the drying period. The product is supplied in 2-litre containers which, when diluted, creates 25 litres of formula that can then be applied with a spray or brush. For use only by professional builders, Wood Preservative Dual has a HSE 1-hour re-entry classi­fica­tion and should be used in conjunction with standard safety precautions such as overalls, gloves and masks. Enjoy browsing our collection of current special offers; stocks are limited at these prices so please order soon to avoid disap­po­in­tment. To make sure you never miss out on our special offers, you can subscribe to our regular newsletter which also contains an exciting selection of news, information and more from Twistfix. To contact our team, please call 0845 123 6006 or email sales@twistfix.co.uk.